Near convenient area in city centre. 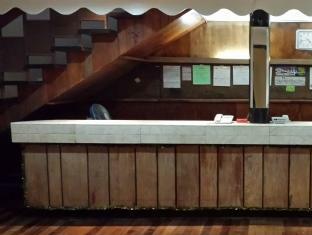 Old hotel. Quite spacious room for the price. Location is good along the main road. Staff are very nice. Always greeted with a hello or a smile. We arrived there early morning approx 1000 am .The hotel didn't even know about our booking,and when we got to the room on the 1st floor,it had a timber framed bed,the walls you could put your fingers through ,no fridge in room,its 36degrees outside the aircon was not working properly ,the young man at reception tried to install an internal phone in the room for service he couldn't doit,the tv,had no remote control,the showerroom was disgusting with ancient fittings,the male at reception said he would get a fridge for the room,which he did but wanted us to pay extra each day for it .wstayed only 4 hours in that Hole even the locals are very well aware that this is a building in decline,and formerly a Hospital.Now I will try to get a refund from Agoda. Easy to locate, and within the heart of the city. 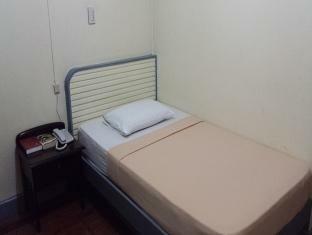 It was a comfortable stay considering that it was within the city proper location. The staff is friendly and very accommodating. Old fire trap ready to fall down. Building shakes with truck traffic on the street which is often. They don't post room pics for a reason. No on demand hot water! On request hot water. (you go to front desk and ask them to turn it on. Maybe 20 minutes it will be luke warm.) I was there 3 nights and never got a hot shower. I had to buy a can of insect killer to kill insects biting at my ankles. No view! Only louvered windows located high above the floor. So. Value for money? No. It is noisy, old, shakes and worth half what I paid. Should be classed as a Pensionne. Centrally located, a few minutes from the airport and good for a short stay.